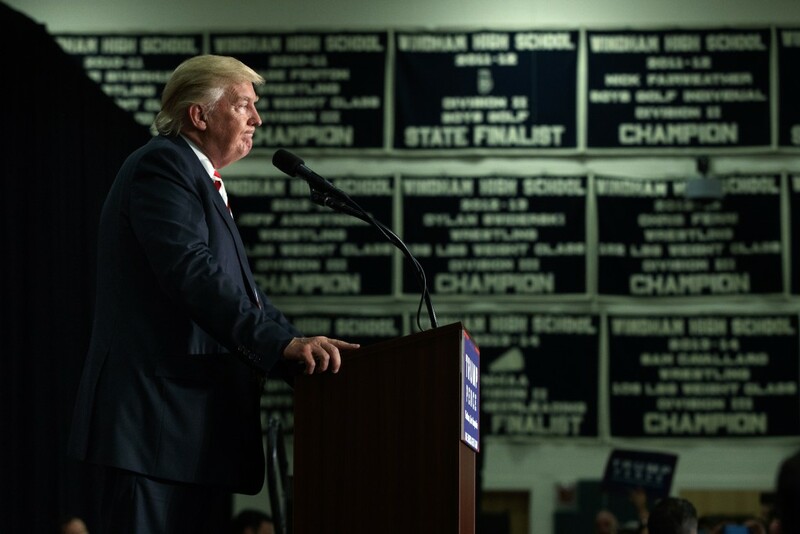 While Republican presidential candidate Donald Trump’s plans on education policy are largely vague and ill-defined, one of his campaign’s policies is clear. He recently proposed a plan to, as he put it, reprioritize $20 billion from existing federal education programs to a voucher-like school choice effort. But this reprioritization plan would devastate critical support for America’s public schools, potentially redirecting billions to private schools. Indeed, CAP Action looked closely at Trump’s signature K-12 education proposal to analyze how much federal funding would be at risk. Based on the amounts of federal dollars each state received for elementary and secondary education programs, more than $1 billion could leave the public education systems in states such as Florida and New York. In Pennsylvania, some $700 million in federal funding for public schools would be at risk under Trump’s scheme—enough money to pay the salaries of almost 11,000 teachers statewide. Trump’s recent proposals would affect this federal funding in other ways. He discussed reducing the funding to states—such as California and Colorado—that do not have their own voucher programs, which allow families to use public funds for private schools. This means that the $2.3 billion in federal funds for California could be cut unless Trump’s preferred policies are adopted. The same goes for nearly $250 million in federal funding supporting students in Colorado. This is all bad policy. For generations, the federal government has provided targeted funds to benefit students in public schools, particularly low-income students. These programs subsidize meals for more than 30 million low-income children, provide supplemental funding to 56,000 high-poverty schools, and support special education programs for nearly 7 million students. Moreover, Trump’s approach tramples on states’ rights as he is encouraging states to divert $110 billion of their own money to support his voucher program. Ironically, congressional Republicans have criticized the Obama administration for acting as a “national school board.” One-time competitive grants—such as President Barack Obama’s Race to the Top program—are nothing compared to the potential diversion to private schools of tens of billions of state and federal funding every year. Based on relative state and local education spending across the country, Virginia’s share of the $110 billion in state funding that could be diverted to Trump’s school choice plan amounts to $2.7 billion. This is not a small matter for students, as that money could pay the salaries of nearly half of Virginia’s teachers. Given the limited details that Trump’s campaign has released, not even conservative analysts understand what the impact of Trump’s education plans would be or agree that they represent good ideas. Still, it is clear that these proposals could decimate public education. In his book The Art of the Deal, Trump asserted that “the worst of times often create the best opportunities to make good deals.” But in this case, Trump is proposing a bad deal that would bring about the worst of times for public schools. Neil Campbell is the Director of Innovation for the K-12 Education Policy team at the Center for American Progress Action Fund. Ulrich Boser is a Senior Fellow and Will Ragland is the Campaign Director of Education Policy at CAP Action.